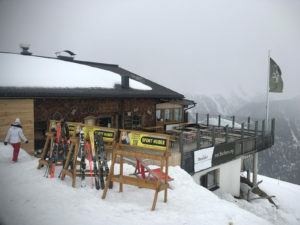 Kappl in the Tirol of Austria is a humble fun ski area just 15 minutes down the road from the big ski destination of Ischgl and 5 minutes from another moderate sized ski area – See, all part of The Paznaun region. 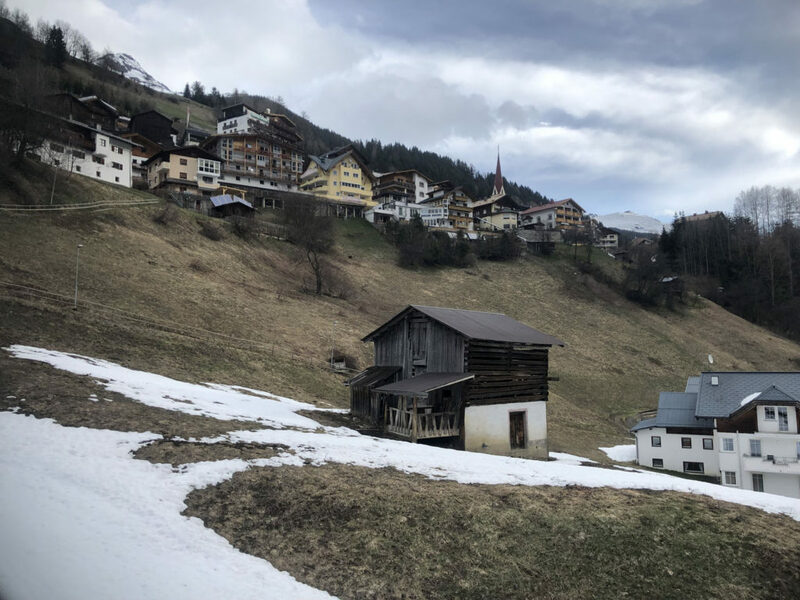 Kappl is located in a tiny Austrian village, The Diasbahn gondola departs right from the main road, by the free parking lot across a wooden bridge that spans over The River. From Kappl’s base at 1,258 meters (4,128′), you see just one ski trail descending between ski chalets and homes on the hillside. Riding up Kappl’s gondola a long 655 meters (2,200’ vertical) to the ski area hub at mid mountain, you find there’s more to the skiing. A 70’s style glass Sunny Mountain Lodge, chalet hotels, ski school and children’s snow park comprise the modest base area, and a quad chair rises up the ski slopes. Kappl is called the “Sunny Mountain” for its southern exposure. 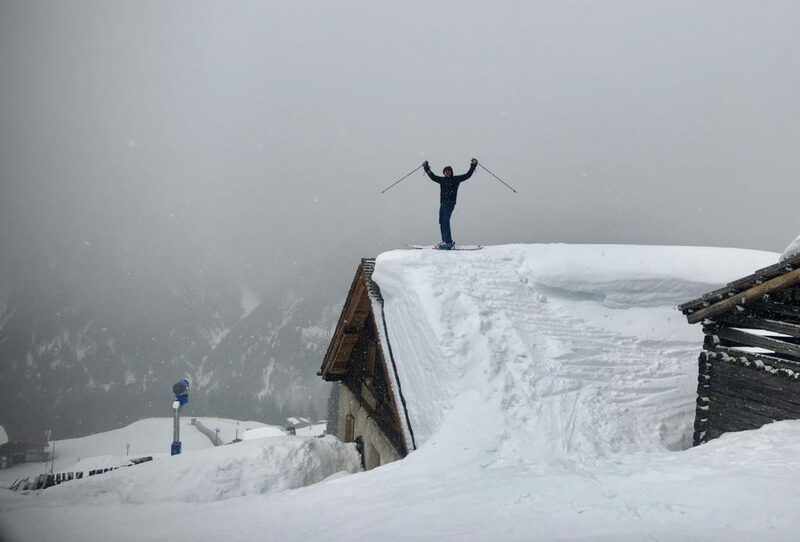 With a high summit elevation of 2,720 meters, almost 9,000’, Kappl is typically assured good snow despite its southern facing aspects. Kappl offers extensive snow making and meticulous grooming – open December into April. 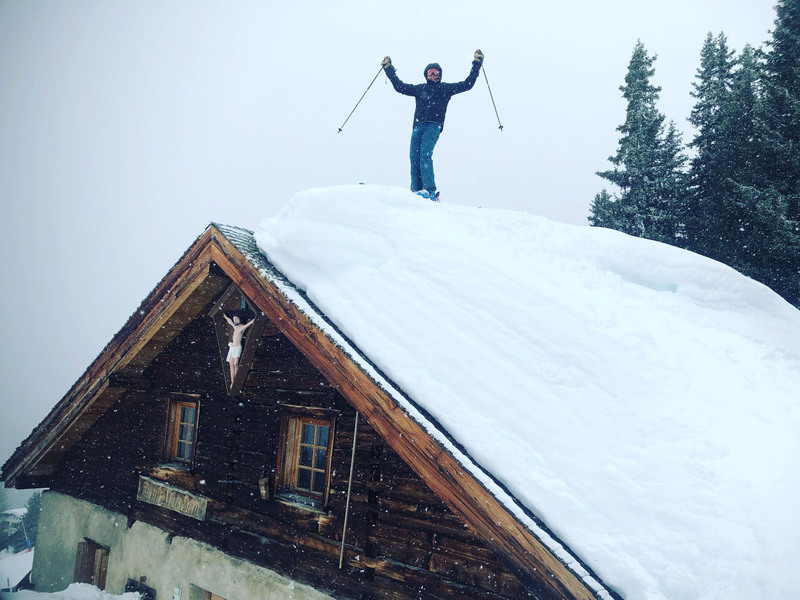 Elevation is key in the Alps where the sun is strong, so the higher up – the more snow accumulates, the colder it stays and better the skiing (and views) particularly early and late season. Kappl offers 10 lifts and about 19 ski runs – numbered #1-19 , which are marked with trail sign discs on the side of the slopes. 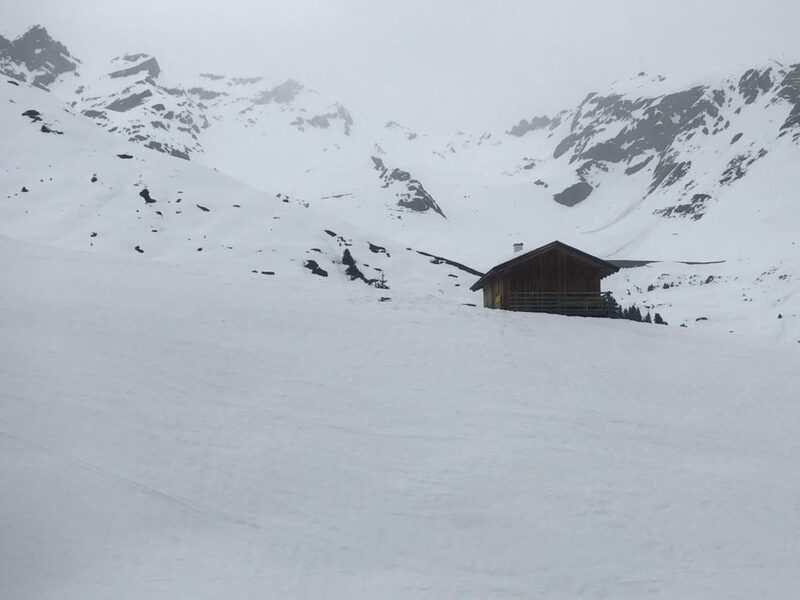 We skied Kappl on a snowy day (even though its trademarked the Sunny Mountain) we found it challenging to see the small infrequent red, black and blue discs at times on the upper mountain above tree line with little definition between the groomed pistes and off piste. Kappl’s mostly modern lifts include the base to mid-mountain gondola, two mid to upper mountain bubble covered quads, a double chair, a few Tbars and magic carpets in the learn to ski area. 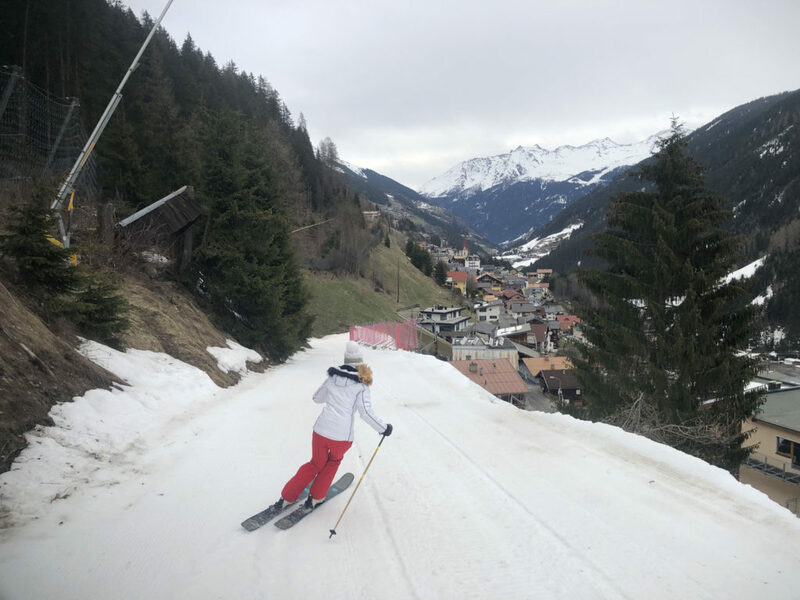 Kappl is ideal for families – with a very animated “fun in the sun” mountain with kids friendly pistes, and a small but enthusiastic ski school. Also the staff at Kappl is friendly, accustomed to caring for families and English speakers. The day we skied Kappl, the upper mountain quad was closed due to high winds, so we enjoyed numerous ski runs from the mid mountain quad, the upper TBar, and riding the Gondall double chair to skiers left. Kappl offers a pleasant mix of blue, red and black (most difficult) ski trails, something for everyone in the ski family. 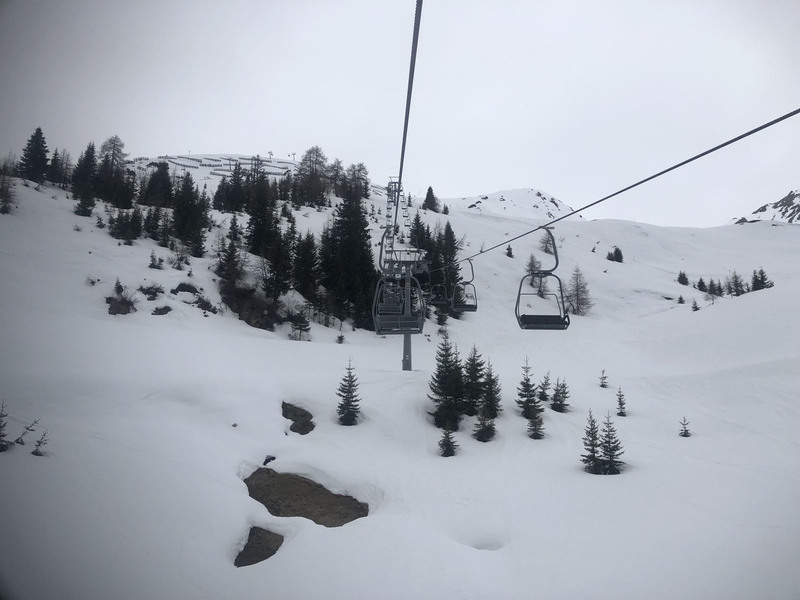 On a powder day, Kappl has easy to reach freeriding, off-piste accessed by traversing beyond the upper mountain lifts, between prepared ski pistes. However some of these bowls and chutes are quite steep, slopes that are prone to slides and avalanche. Beware, be prepared with avalanche gear, and hire a guide from ski school to explore these unprepared powder runs safely, beyond the marked ski routes. 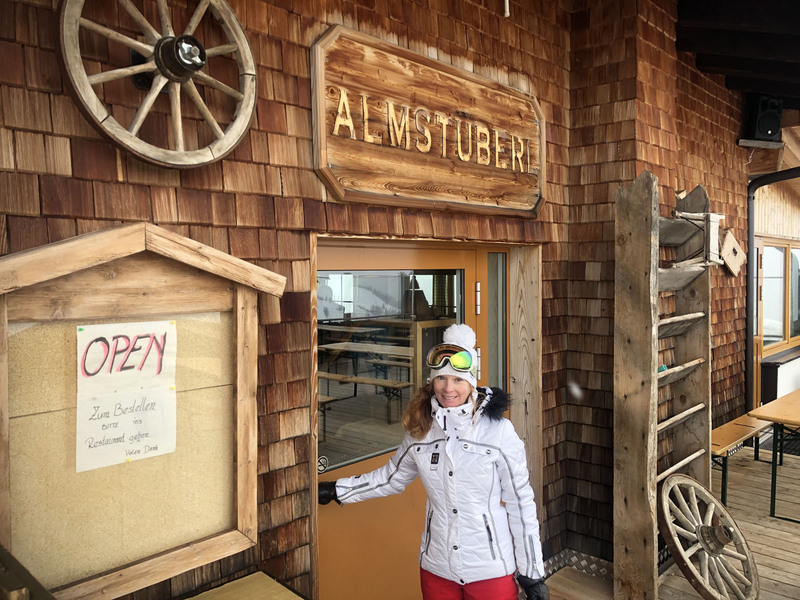 For on mountain chalet lunch, we skied into the charming authentic Restaurant Almstuberl (Trail 5 and 10) for one of our best lunches in the Alps! The Mayrhofer family farms their own Paznaun cheese here in summer and its well represented on their hearty menu – the cheese dumplings in the beef broth soup were delicious. The Tirol Grösti – a local dish of sautéed potatoes smothered with bacon, cheese and an egg, looked decadent too. Served by the friendly proprietor Heiki and her daughter. 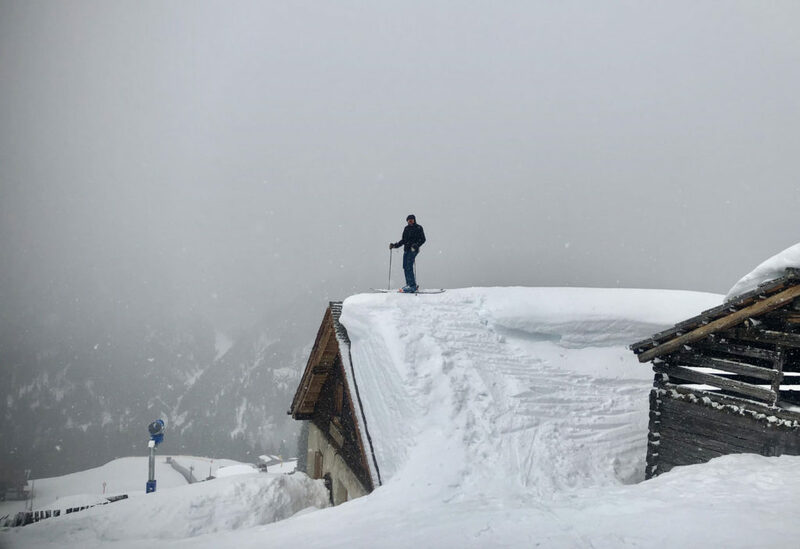 Sit outside in the umbrella bar or inside the cozy chalet and feast on their homemade dishes and soups, while enjoying the panorama of Alps. The Gluwein at Almstuberl happened to be the best we had in our Austria trip, served in a modest mug piping hot and spiced just right. On sunny days, which Kappl is noted for, the panorama here would surely be impressive. 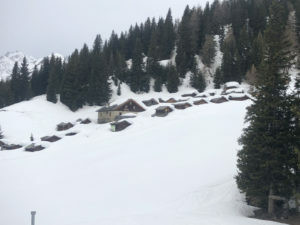 Tiroler Hutt, Bock Alm and Huisler Alm looked authentic too. The Sunny Mountain Lodge is more post-modern and cafeteria style. 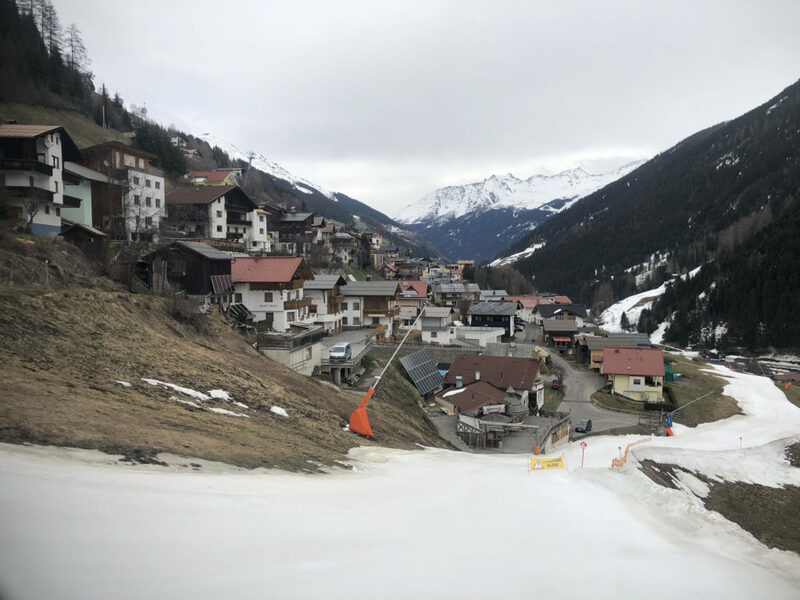 The ski descent to Kappl village at the end of the day on Run 4 is fun with banked turns and switch backs as you ski down from the high alpine into the forest, dropping over 4,000′ vertical. For après ski at Kappl, the Tenne Bar on the descent Trail 4 in the village has a prime slopeside location, and advertises disco dancing, near the base and parking lot. 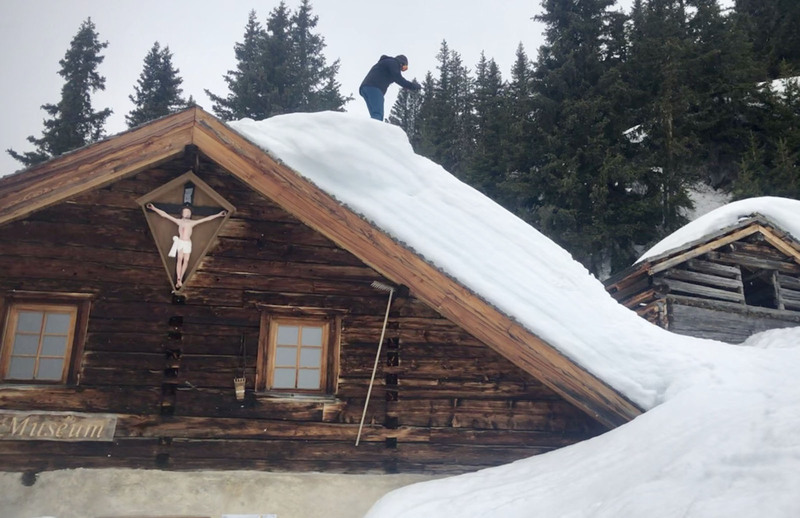 Look for the big sheep on the roof of this modest hut with a wooden deck overlooking the ski trail. 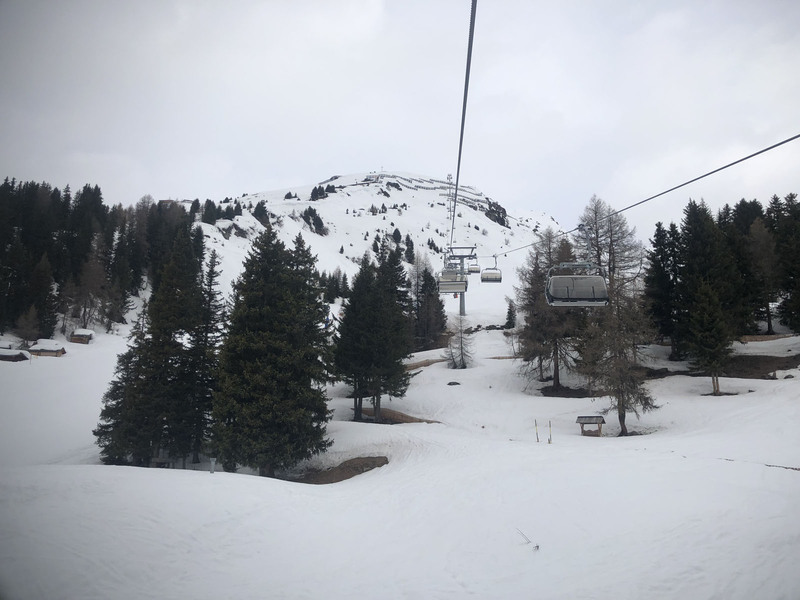 Kappl makes for a fun ski day on your travel through the Paznaun region, with affordable lift passes like neighboring See and Galtür ski areas, with less skiers than bigger busier Ischgl nearby, and a friendly vibe. 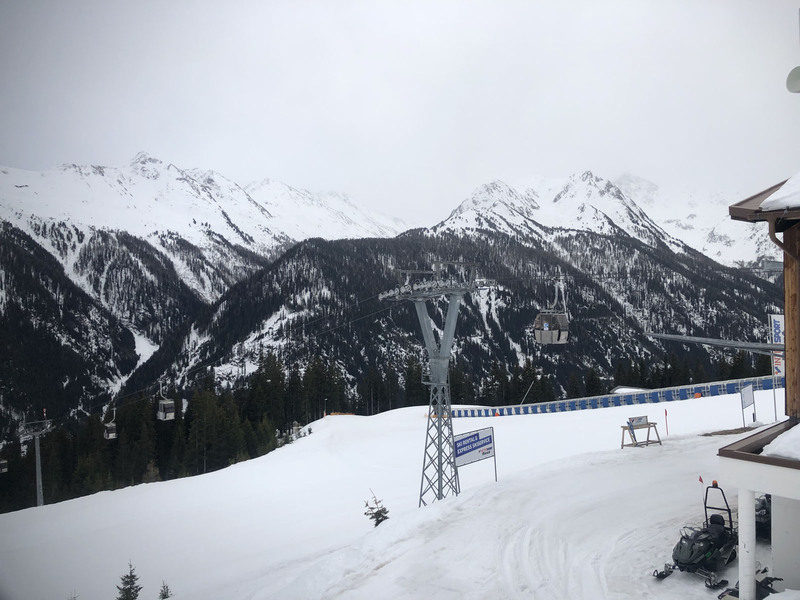 Kappl also has a 6 kilometer rodel (toboggan) run for day and evening tobogganing. 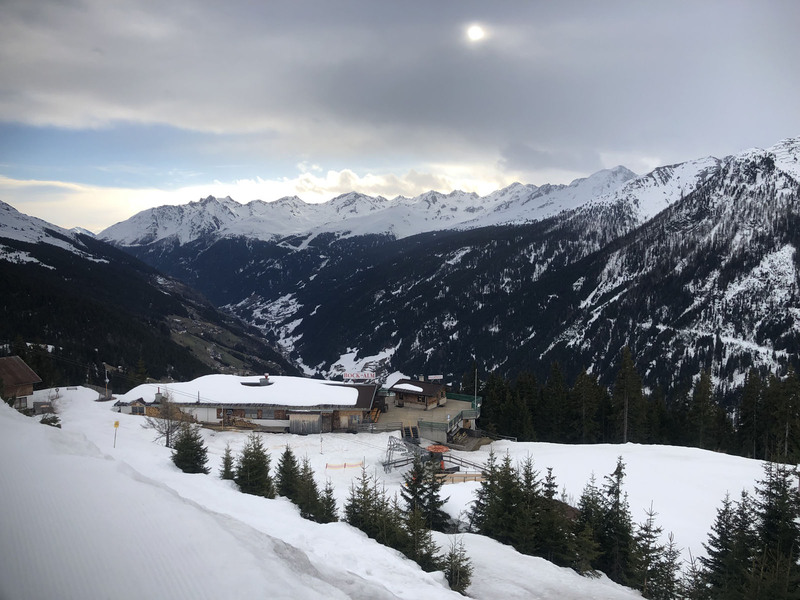 Kappl is in Tirol Austria, Paznaun valley near Ischgl, See, and Galtür, also near the Arlberg ski region to its north and Switzerland’s Lenzerheide, Davos and St Moritz to its south.